Artists, much less singers, are seldom quoted for their business advice. Naturally, this is the prerogative of leading CEOs such as Steve Jobs or the likes of Henry Ford, and even political or religious figures such as Churchill or Dalai Lama. However, although they come from various industries, these people share common ground in the energy spent in reaching their goals. Becoming a singer-songwriter is also risky business. 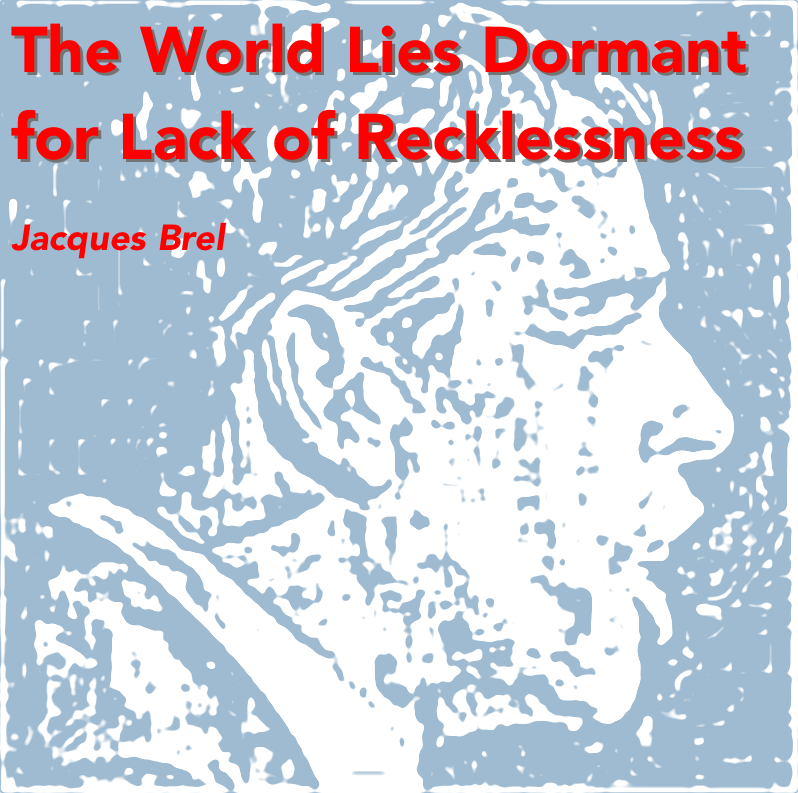 Throughout his experience, Jacques Brel shares powerful recommendations either through his songs or interviews. This article is the perfect opportunity to revisit his wise advice. Everything starts with a dream. This simple sentence sums up very well any entrepreneurial spark as well as any creative plan. The underlying motivations of a true entrepreneur are based on dreams, ideas, visions, and not in the least on money. Le Grand Jacques explains it perfectly: “People can only achieve one thing: their dreams”. If there is one thing people struggle to achieve, it’s their life dream. Anything else is simply redundant. Before starting your journey, make sure your dream is big enough. As the saying goes, if you’re not afraid, it’s because your dream is too small. Once dreams are fully entrenched in the human mind, all man needs to do is make the first step. The man who does not dare make the first step is a recurrent theme with Brel who uses a powerful metaphor to exemplify it: “What’s difficult for a man living in Vilvoorde wishing to reach Hong Kong, is not going to Hong Kong, but leaving Vilvoorde.” The journey itself is a metaphor for any action that is likely to get people out of their comfort zone. When asked by a journalist how does he make it, David Garrett – world’s fastest violinist player – simply answered, “There’s no secret to it, I practice 10 hours a day since I was 6-year-old”. Well yes, talent is all about work! All we’re searching for, blossoms everyday on every street corner of our life. What about you, would you rather make mistakes than regret not making them at all?